Neil Gaiman’s dark and wicked children’s novel Coraline is such an exciting and intense story, it will leave readers in a state of awe and desire for more. When the young Coraline Jones discovers a secret world far better than her own, she jumps at the opportunity for a grand adventure; however, not everything is what is seems. With an evil Other Mother and puzzles to solve, Coraline will require all the courage she can muster to save herself and those she loves. Enticing and full of wonder, Gaiman’s Coraline will not disappoint lovers of horror and children’s literature. Coraline will have to fight with all her wit and courage if she is to save herself and return to her ordinary life. Celebrating ten years of Neil Gaiman’s first modern classic for young readers, this edition is enriched with a brand-new foreword from the author, a reader’s guide, and more. Children’s literature is something I’ve always critiqued harshly…I can’t help it! However, Gaiman’s Coraline blew my mind as it was an absolute thrill to read it! The story, the setting, the characters, the flow…all of it was extremely well done. In essence, the story revolves around a young girl named Coraline who grows tired of her new home and the lack of attention she’s receiving from her parents; furthermore, the neighbours are all rather odd and can’t even get her name right…Caroline. On a deeper level, this story has so many beautiful messages about learning to accept and learning to love, learning to have patience and learning to have courage. Coraline learns so many lessons that many of us still need to take in, even when we think we have it all together. One of the biggest overarching themes in this novella is bravery, but on such a deeper level than other pieces of literature. When Coraline is alone and afraid yet still goes through what needs to be done, her courage and strength illuminate the pages. Gaiman has commented on how random strangers have contacted him to express their gratitude for this book, for it taught them what true bravery is and that life can turn out for the better, even when it looks dark and bleak. And THAT, my friends, is an example of a truly alluring piece of literature. The only reason I didn’t give this a 5 cups of tea rating is that I found the story at SOME points was a little boring and hard to get into. 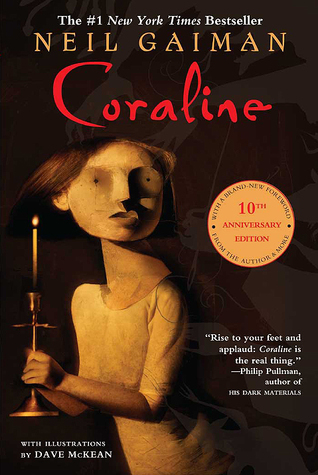 Gaiman’s novella almost purely focuses on Coraline’s development. As discussed in the story section, the whole story centers around Coraline learning valuable lessons about being open-minded and courageous. Her progression is absolutely fascinating to observe in the story. The remaining characters are definitely a bundle of fun! The neighbours, for instance, are rather nutty yet have such interesting vibes and background stories to them. The Other people in the Other world, especially the Other Mother, are tremendously well portrayed; one minute they reflect the real neighbours yet more intriguing and fun, while the next they grow into monstrous creations that the Other Mother has altered them into. Spooky yet completely captivating, all the characters in the Other world are beautifully done in Gaiman’s vision of a dark alternate reality. Coraline’s sidekick, the Cat, is my favourite character of all time in this novella. He’s stealthy and full of wit, showing little to no care of the situation. Yet when Coraline needs help, he’s there. Gaiman writing is clear, concise, easy to follow, and simply spectacular. 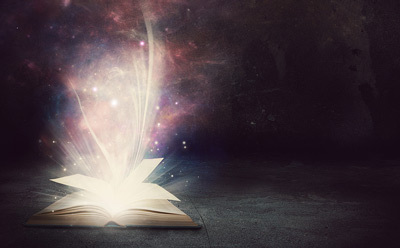 Recently, I’ve found a lot of literature fairly hard to visualize, which is odd since I’m a very visual reader; it;s as though authors struggle with describing a scene or a setting or an action point. With Coraline, I most definitely did NOT struggled with this. Magnificently detailed and wonderfully descriptive, Gaiman pulls readers into this dark and gruesome tale simply through the use of carefully chosen words. Gaiman’s Coraline is full of mysteries and sinister happenings on every page, making it impossible to put down. Ominous yet intriguing, it’s a perfect choice for the Halloween season! For those who are new to Gaiman’s writing such as myself, you won’t be disappointed. In fact, Coraline may cause you to splurge more on Gaiman’s works since it’s so well written. Are you brave enough to read Coraline? Great review, I totally agree. Coraline is a wonderfully creepy yet beautiful little tale. Thank you! I adored it. I actually watched the film first then read the book. I enjoyed both a lot. Great review! I’m actually reading this one now with my daughter…a little bit scarier than I thought it would be, but she’s loving it too! We need to watch the movie! I hope you both enjoy it! The film and book are different but I loved both. I think I like the bravery symbolism in the book more though…it’s not as touched upon in the film. Both are fantastic nonetheless! And thank you so much! !